Western cities have done a better job of integrating technology into their infrastructure than the new wave of Asian smart cities, according to architect and television presenter Jason Pomeroy. Singapore-based Pomeroy, the architect behind Asia's first zero-carbon house, claims that Barcelona and Amsterdam are far more successful examples of a smart city than places like Songdo, the new hi-tech satellite city in South Korea. "They have a greater sensibility to the needs of the people there, because they've been around a lot longer," he told Dezeen in an exclusive interview. "And when I look at the developing Asian economies, it feels more heavy-handed government top-down, as opposed to bottom-up." Pomeroy, 42, visited eight different cities for the recent television show Smart Cities 2.0. The first episode profiled Songdo, the city built in just 10 years on reclaimed land on the outskirts of Seoul. Despite its impressive features, which include an electric-vehicle infrastructure, emergency-service drones and homes with connected video screens, Songdo is already becoming outdated, said Pomeroy. "The idea was that if you embed the technology at the beginning, incorporate opportunities for big data and big technologies, and put an amazing amount of investment put into waste management systems and surveillance, that the city will be smarter and people will love it. But that's not always the case," he explained. "When you look at the city now, a lot of the technologies are obsolete. People can FaceTime on their phones, they don't need to be FaceTiming in the comfort of their flat. So it demonstrates that technology has to be used wisely, otherwise you'll end up in the situation where it will just become obsolete." By contrast, said the architect, Barcelona and Amsterdam show how important it is for technology to not only be facilitated by the city government, but also to be embraced and celebrated by citizens. 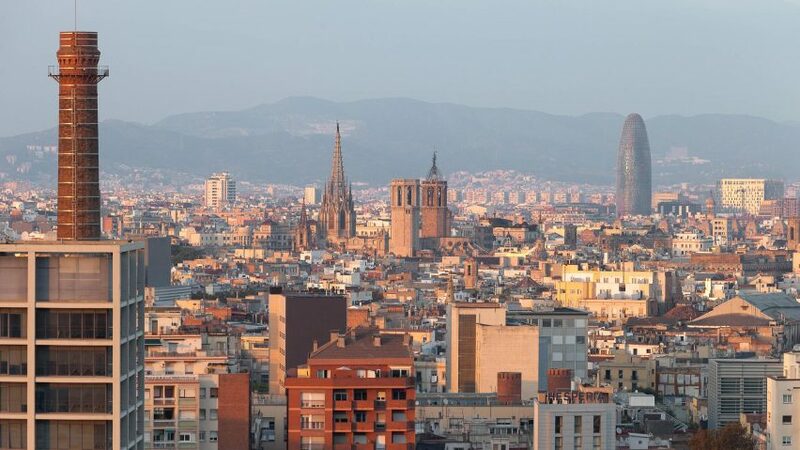 Successful initiatives in Barcelona include Fab Labs, which teach people to be more entrepreneurial, while Amsterdam is a pioneer in using data to drive infrastructure change. "The most successful smart cities have acknowledged that it's neither top-down nor bottom-up approach, it's a combination of both," added Pomeroy. Pomeroy said the most exciting smart technology to emerge in recent years is autonomous vehicles, which he believes will revolutionise cities all over the world. "Autonomous vehicles are going to have a huge impact on the world's infrastructure. Huge amounts of area that is dedicated to car parking will almost vanish overnight as a result," he said. "And in cities like Amsterdam, where 50 per cent of the surface area is actually water, autonomous boats that can be used as bridges, as a means of transporting goods or as river taxis, will also be highly advantageous, to reduce not only pollution, but also congestion on the streets. Smart Cities 2.0 aired in Singapore, Indonesia, Malaysia, the Philippines and Hong Kong – but is available to watch online. Amy Frearson: Why did you choose to look at smart cities for your latest television series? Jason Pomeroy: I've always had a passion for anything green and sustainable, and one of the biggest question marks over smart cities is, how sustainable are they? So we're looking at the sustainability of eight cities, and asking whether smart technology enhances their efficiency and enhances people's lives. It's basically an eight-episode quest that reveals very different versions of what constitutes a smart city all around the world. My conclusion is that there are actually three different versions, or three different generations, of a smart city. In the simplest understanding of a smart city, which is very technologically driven, it's often very top-down government-controlled with very big support by multi-national corporations, and very heavy on technology and economic stimulus. These landmark cities obviously get a lot of column inches. A typical example is Songdo in Korea. Then you've almost got this popular, social reaction against that imposition of technology and top-down government control, to a smart city 2.0, which is very socio-culturally driven. The technology is in the hands of the individuals, and the people make the city the way they believe that the city should be enhancing their lives. The 2.0 is a city like Bandung in Indonesia, or Higashimatsushima in Japan. The smart city 3.0 not only has the top-down technological and economic impetus, but also the bottom-up socio-cultural and people power, with the overlaying element of culture, open space and environmental considerations. Examples of that would be Barcelona and Amsterdam, and it's a far more holistic view of the smart city. All of a sudden you've got the government not necessarily imposing their will, but setting out a framework for the people power to say "this is what we want", supported then by multi-national companies and academia who are trying to make the ideas work and get better in the future through constant research and development. I argue that, if you bring those six elements together – the technology, the economy, the social, the cultural, the environmental and the spacial – all of these elements layered together gives you your 3.0 smart city. Amy Frearson: Can you tell me more about the smart city 3.0, and what makes it so successful? Jason Pomeroy: For Barcelona, what you had was a city in post-Franco Spain, needing to be celebrated as a means of generating income. They did that very wisely through tourism and leisure. It was the seat of the Olympics in 1992, and there was this incredible economic boom made out of tourism and leisure. But when the financial crisis hit in 2008, the city really scrambled to try and save money wherever they could. They thought: "If we turn towards technology as a means of making this city smart, in terms of reducing our consumption – whether it's energy, water, or just a general operation and maintenance – at least we'll be able to recuperate some of our losses, and if we go to big multi-national corporations who could use our city as a living laboratory to test out their new ideas and new softwares and new hardware, then everybody is a winner". Now, the natural thing with these technology systems is that sometimes they work and sometimes they fail, and when they fail they do so very publicly. There was a public backlash in Barcelona against technology, but that's when a new layer of smartness entered into Barcelona. The city then started looking at the cultural and social needs of its people: reducing traffic congestion, reducing pollution, making better public open spaces by privatising particular streets and turning the super-blocks into a smarter fabric that people could enjoy. Next they put the technologies into the hands of the people through the Fab Labs, these centres of creation where the people could get down and dirty with the software or the hardware, and actually create things for themselves that in turn create an entrepreneurial economy within the city. That for me represents the layering of a smart city, which is the complete antithesis of top-down control that you might see in somewhere like Songdo. Amy Frearson: Can you tell me more about Songdo, and why it's so different? Jason Pomeroy: Songdo was a city started from scratch, a government initiative to try and make a Korean and North Asian economic hub. It is basically a new city that was built from scratch right next door to the Incheon International Airport. The idea was that if you embed the technology at the beginning, incorporate opportunities for big data and big technologies, and put an amazing amount of investment put into waste management systems and surveillance, that the city will be smarter and people will love it. But that's not always the case. The people actually love Songdo for the open spaces and the education infrastructure more than for the technology that went into it. When you look at the city now, a lot of the technologies are obsolete. People can FaceTime on their phones, they don't need to be FaceTiming in the comfort of their flat. So it demonstrates that technology has to be used wisely, otherwise you'll end up in the situation where it will just become obsolete. Amy Frearson: And how do these two compare to what you call a smart city 2.0, say Bandung? Jason Pomeroy: Bandung in Indonesia is crippled with incredible congestion and pollution. It's a Dutch colonial city that was designed for 100,000 people and today has 2.5 million residents. So it's bursting at the seams. But Bandung doesn't rely not on the top-down technology approach to try and manage the city. Instead, the mayor has created a system where he basically says: "You can tell us when there's a problem". He got everybody signed up to this app where they can report congestion, heightened pollution, crime, and the information is immediately brought into a central command centre, which allows emergency services to be deployed along the quickest route. It's using big data and social apps to give power to the people. They have a huge amount of data to sift through, but it means they're able to identify trending topics, so that they're constantly at the cutting edge of the information. This actually helped reduce congestion, reduce pollution, and has also served as an early warning for floods, which are highly prone in Bandung. Amy Frearson: What are the most successful technology initiatives you've seen, and could these be easily replicated in other cities? Jason Pomeroy: Singapore is trying autonomous vehicles, and Amsterdam is trying autonomous boats – in both cases because the technology is being tested and researched by MIT in collaboration with some academic institutions in those cities. Autonomous vehicles and seamless mobility strategies are the way forward I think. Autonomous vehicles are going to have a huge impact on the world's infrastructure. Huge amounts of area that is dedicated to car parking will almost vanish overnight as a result. And in cities like Amsterdam, where 50 per cent of the surface area is actually water, autonomous boats that can be used as bridges, as a means of transporting goods or as river taxis, will also be highly advantageous, to reduce not only pollution, but also congestion on the streets. Amy Frearson: Do you think in the near future we'll see a city that combines all of the smart technologies you've explored in this series? Jason Pomeroy: I guess that's like the holy grail isn't it? Each of the eight cities I visited had something unique to offer – but some worked and some didn't. There were some where I just kind scratched my head and thought, there are some underlying issues here that needed to be resolved first. Ahmedabad in India, for instance, is widely regarded as the premier smart city in India. It has some very boastful aspirations, but for the majority of people in Ahmedabad, it's more important to get the 19th century issues right first, like basic sanitation, fresh running water and electricity. It was like two worlds colliding. So I don't think there can be this holy grail where there's an answer to suit everything – every city has its own issues to deal with. But I do think that, looking at the series as a collective, that it provides some basic clues. Amy Frearson: Is it a coincidence that the two cities you think are the most successful are western cities? Jason Pomeroy: I think what sets these two cities apart is that they have a greater sensibility to the needs of the people there, because they've been around a lot longer. Also, the technologies that have been incorporated have been incorporated sparingly. And when I look at the developing Asian economies, it feels more heavy-handed government top-down, as opposed to bottom-up. Amy Frearson: So what you're saying is, smart technologies don't work as a tool for rapidly developing or scaling up a city? Jason Pomeroy: Correct. I think that a lot of the time, the most successful smart cities have acknowledged that it's neither top-down nor bottom-up approach, it's a combination of both. The government, to a certain extent, sets out a framework, and people create a healthy tension, by saying: "This is the issue and we need a solution to this". Then, multi-national corporations or small/medium enterprises say: "We would be happy to contribute to finding that solution". And brains in academia come along and say: "Let's try and work out a solution collectively". So it's almost a four-pronged approach. Amy Frearson: What can architects and governments learn from these smart cities? Jason Pomeroy: The ultimate takeaway would be that the smart city is actually a misnomer. Like the "green city", it's an incredibly limiting term. And what we can see looking around the world is that we all have very different views as to what makes a city smart. I'm still struggling with what the actual correct term is, but what I do know is that it's taking social parameters, economic parameters, environmental parameters, and then overlaying technology sparingly, to enhance the efficiency and ensure there is a balance of open space for people to enjoy. Because with increasing urbanisation we're losing opportunities for social interaction. We're retreating into Facebook and other social media platforms, as well as virtual realms. Amy Frearson: Have any of the other things you found changed or influenced your architectural practice? Jason Pomeroy: As a design studio that specialises in green cities and green buildings, we want the research we do through programmes like this to help, influence and inform the work that we do. We recently completed a 24-hectare 'mini city' if you will, which has been dubbed by the Indonesian president as the Silicone Valley of Indonesia. It's a digital hub which looks at trying to move the Indonesian economy into the new, knowledge-based economy that it wants to be. A lot of the South-East Asian cities that have grown during the 20th or 21st centuries have come out of colonial trade and commerce, and then converted themselves into manufacturing hubs. Now we're at the cusp of seeing the digital economy influence cities like Jakarta, so this particular urban development we created was all about celebrating the rise of the digital economies. It's effectively an innovation district that allows for the sharing of Fin-Tech, Bio-Tech and technology-related businesses within a business park setting, along with road-sustainable, zero-carbon, live-work environments and low-energy retail environments as well.